We invite you to join us at Discovery Horse in July for our professional development self-care training series. 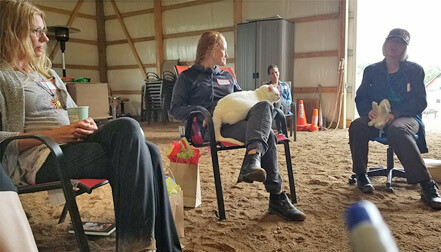 Learn and practice strategies for avoiding compassion fatigue and maintaining emotional balance in a challenging work environment through an experiential process co-facilitated by Sara Sherman and Matt Schwab, experts in facilitating connected relationships, and supported by the Discovery Horse herd. Price includes training materials, snacks, lunch and gift bag. Download our School of Self: 101 flyer and share it with your friends. Thank you! The process we will be utilizing, EMOTIONALLY SAFE COMMUNITY BUILDING™, is based on the idea that community starts with self. 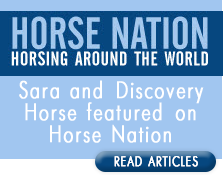 This concept/process, coined by Discovery Horse, has been the catalyst to their community-based approach and its success. Emotionally safe communities offer a place where trust is built, mistakes are opportunities, compassion is cherished, courage is cultivated, and connection is sacred. Financial support is available! Financial support is available! We mean it. We also recognize that asking for help can be hard. I personally (Sara) have not liked asking for help . . .especially when I am asking for assistance from my peers. People who’s opinion of me matter. People with whom I am concerned I will lose ‘clout’ if I appear incompetent. Can anyone relate? One of topics we discuss, and practice, in SOS is the art and struggle of making requests.If you need financial assistance please ask us how we can help and get started advocating for yourself before you even sit in our circle! In order to effectively serve people, we, the professionals, need our own connection. The school of self was an amazing experience that we all need in our ongoing lives in order to learn how to balance our personal and our chaotic professional careers. Our own connection to self needs to be #1. The greatest gift you can give to others is to find connection to yourself in an atmosphere of unconditional acceptance in a connected whole. This group offers and a safe landing place to explore the places of you and your relationships with others that you have been avoiding. This experience provides a gentle holding in love that all of our hearts need in working in the healing profession.